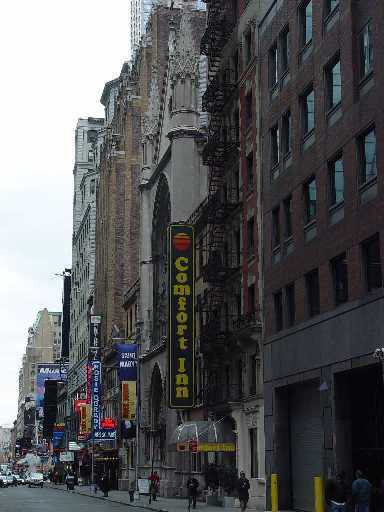 "The Comfort Inn Midtown New York Hotel is near Times Square, Rockefeller Center, Broadway Theatre District, Fifth Avenue shopping, Macy's, NYC Museums, St. Patrick's Cathedral, Central Park and New York City attractions." Related photo tours for the Comfort Inn Midtown New York Hotel. Most recent first. Links open in a new window.